Yes, that’s plural: we’re talking two of them! I know: it’s a bit too much to take. talking about some seriously intense museum-going here, people. amiable and made of sturdy stuff. accepted the challenge because the goal is to collect all 13.
you may want to go there, too. 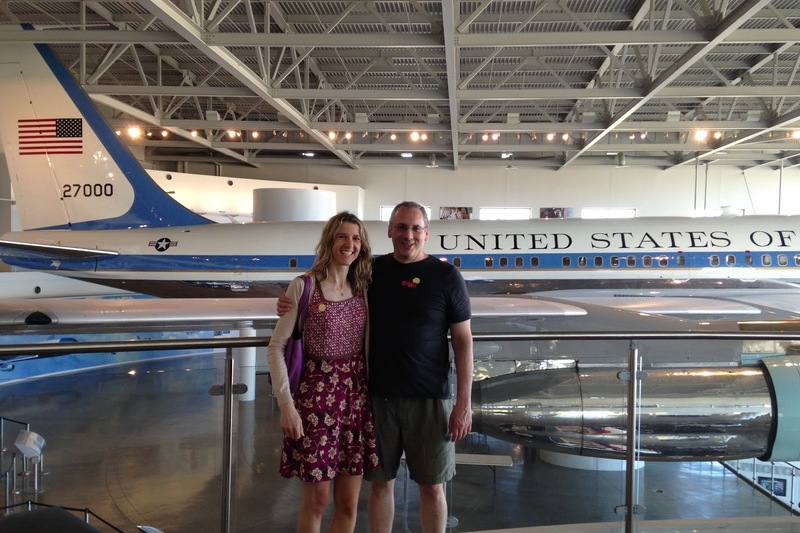 start with Day One: The Reagan Presidential Library in Simi Valley. place has it goin’ on. cried, I smiled, I became verklempt. Great Communicator’s library communicates greatly. down off the Reagan heights. And it sort of was. there’s the Watergate gallery. Holy Toledo, guys. If you’re organized about it and don’t mind overdosing on presidential history, you can actually do this thing in two consecutive days. exceeded my already high expectations. This traveling thing is pretty stinkin’ fantastic, especially when conducted in the right company. This entry was posted in Bookishness, Presidents, Unruly Reader. Bookmark the permalink. 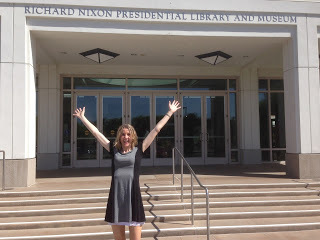 Unruly, You make me want to run right up to Independence and visit the Harry S. Truman library! Bybee, it's phenomenal. You must go there at once.